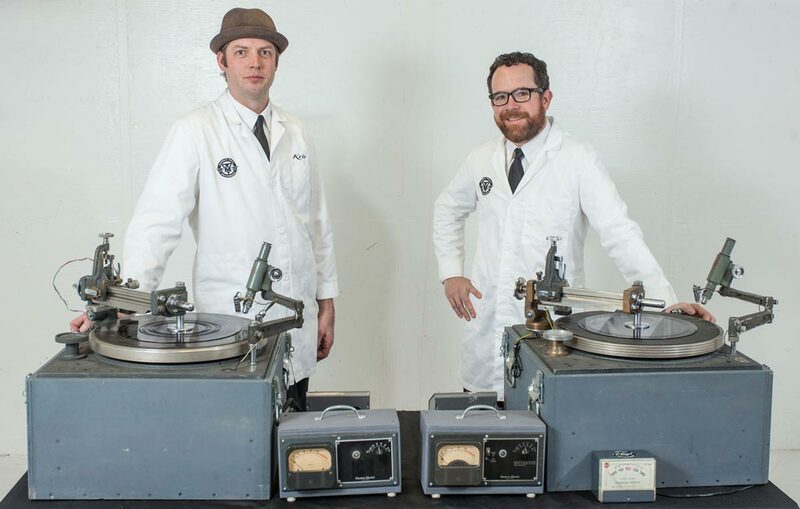 We are two audio engineers based in Seattle, WA and Tucson, AZ with a passion for making vinyl records. 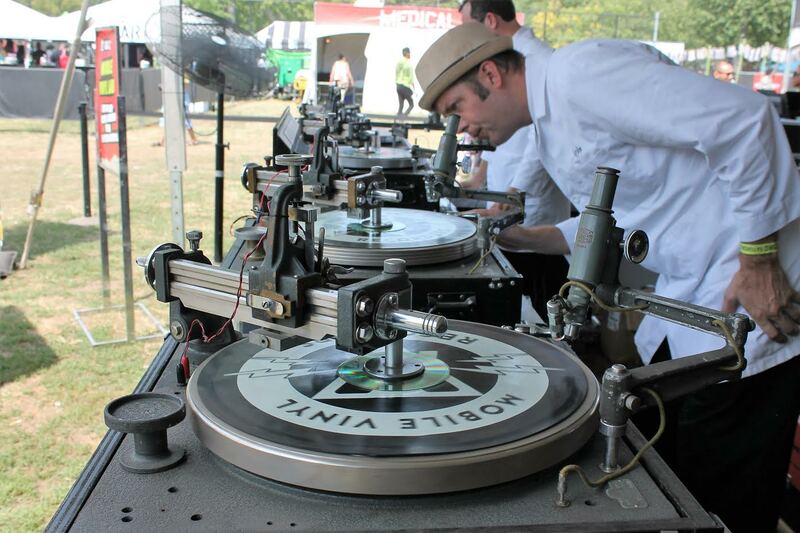 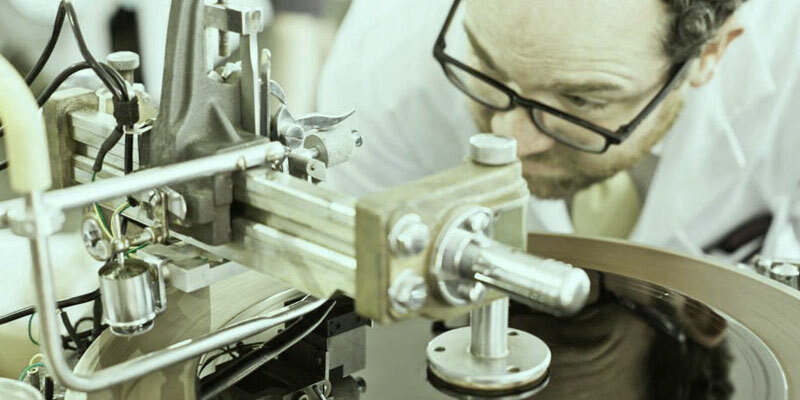 We use restored vintage disc cutting lathes to create records, one-at-a-time, in real time. 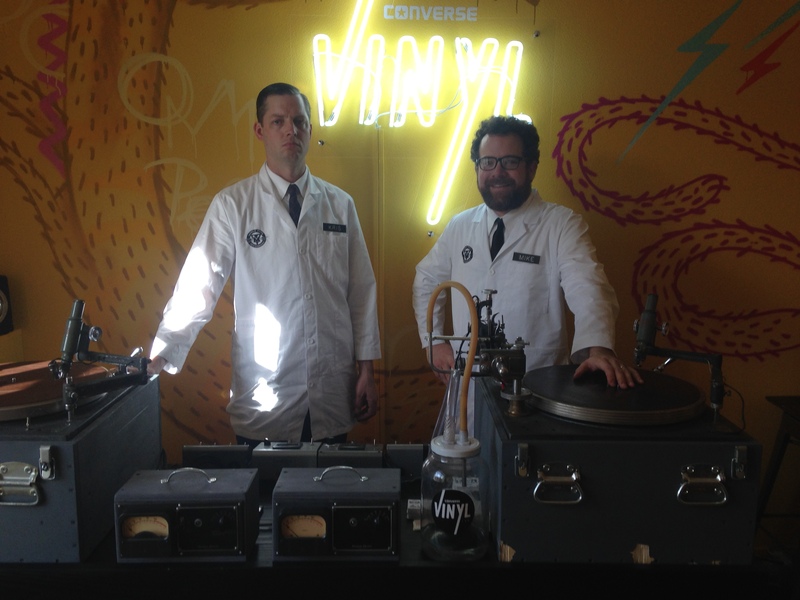 We can travel anywhere in the world to bring this antiquated art form to your marketing activation, party, festival, record store, or bar mitzvah. 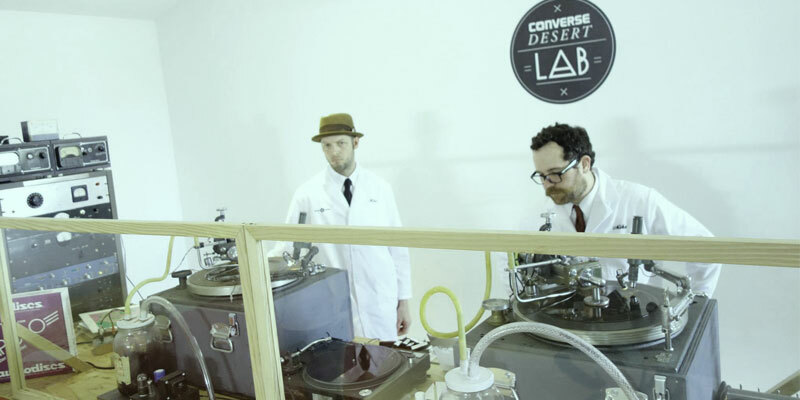 We have many different equipment configurations, record mediums, and packages to meet your budget. 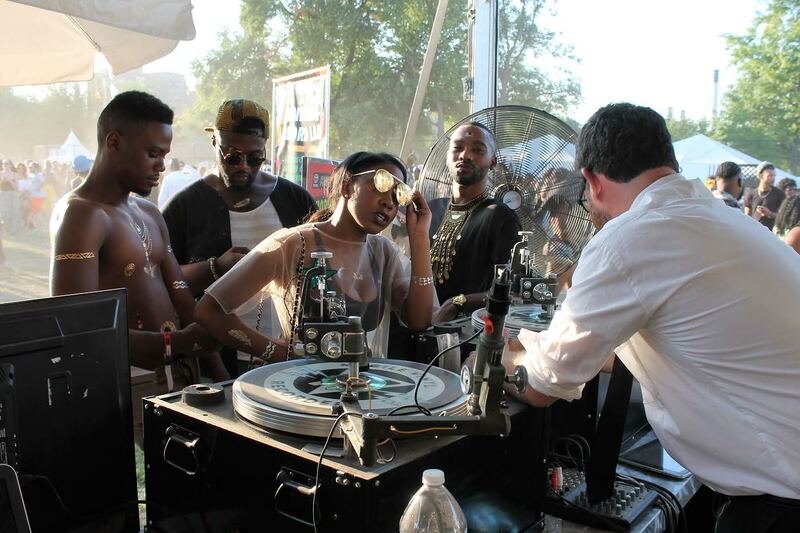 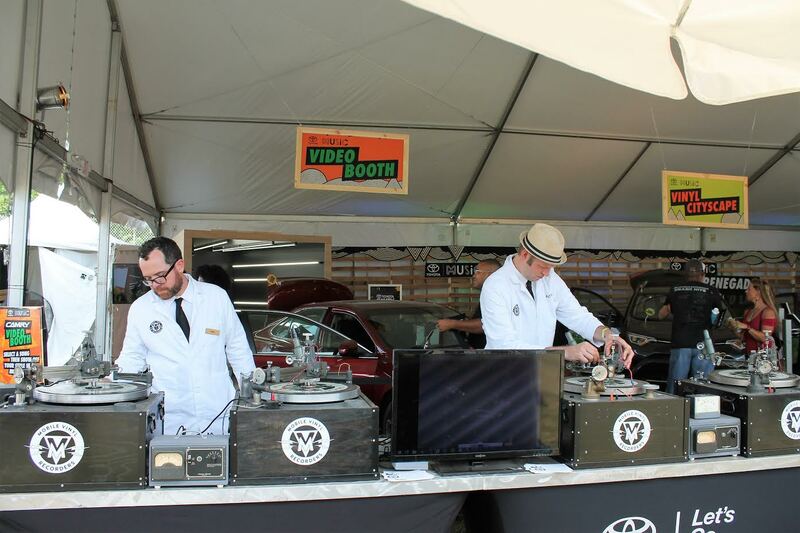 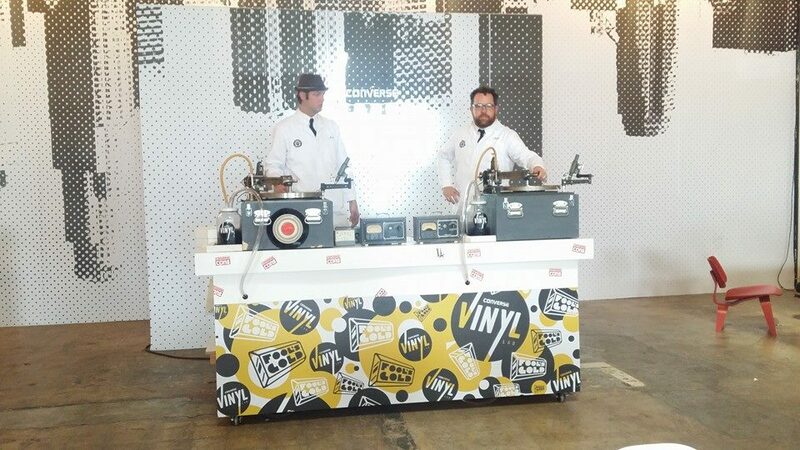 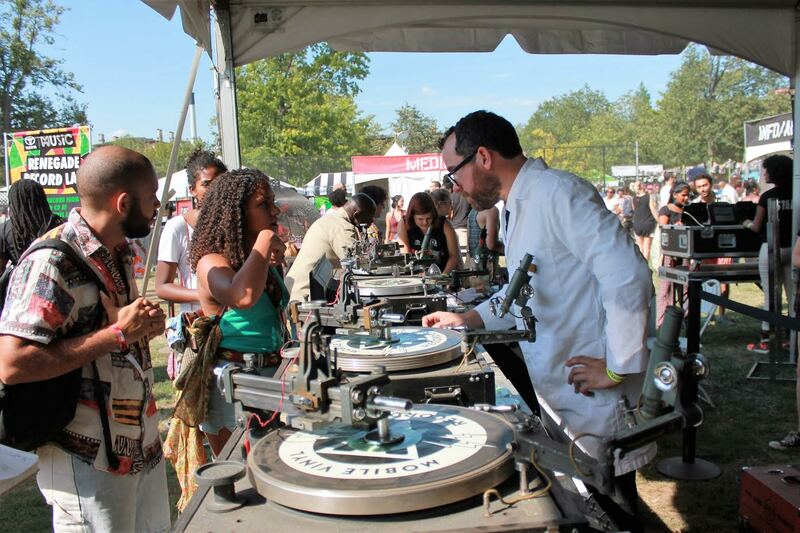 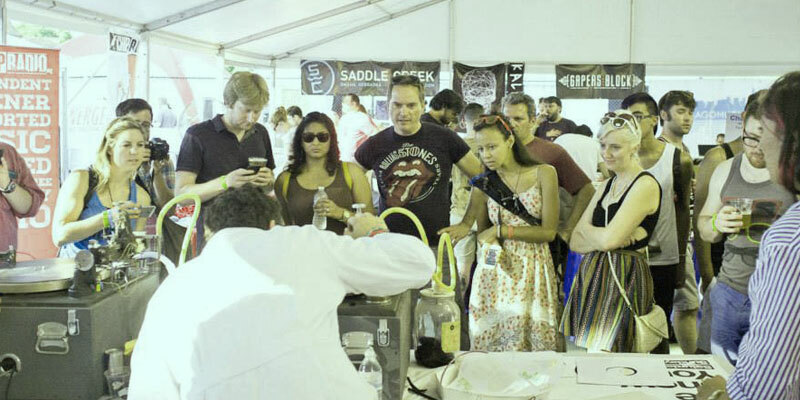 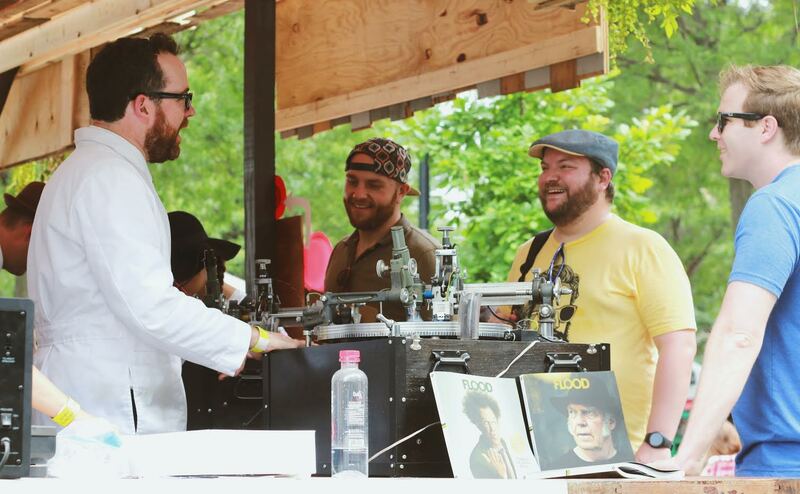 We love to educate people about the vinyl making process and provide a spectacle that can be the centerpiece of your event. 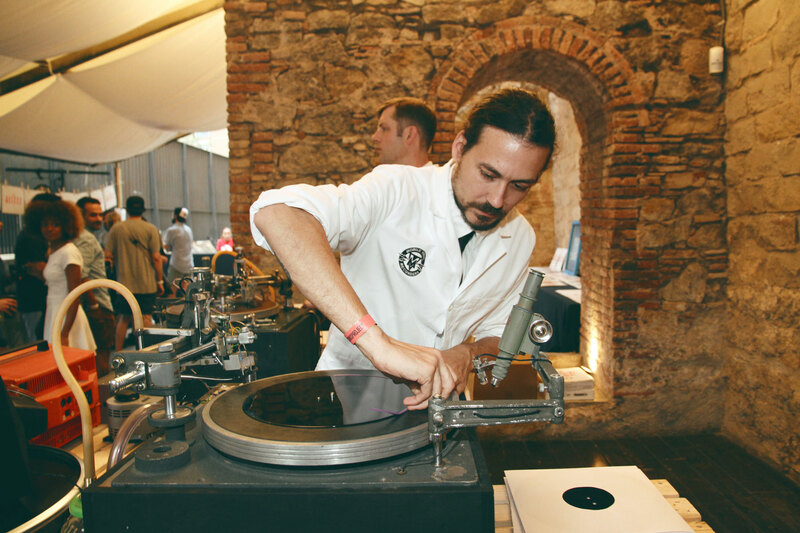 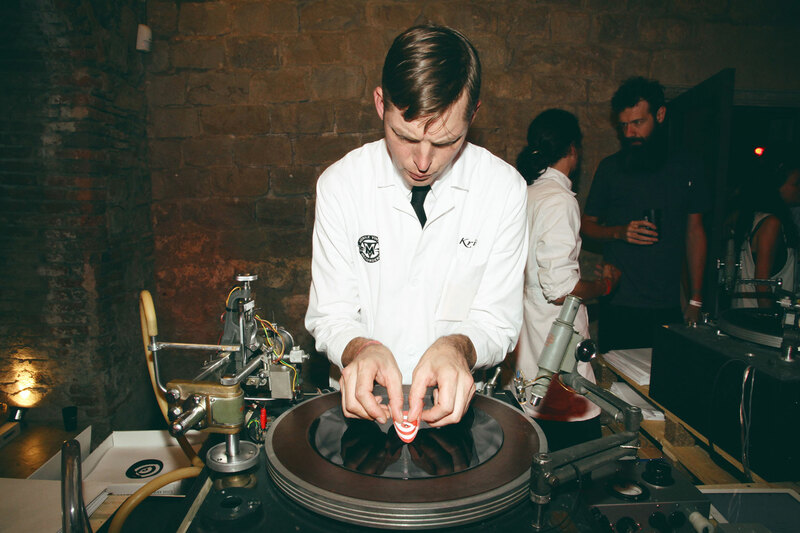 Whether you want custom records cut onto high quality lacquer dub plates, picture discs made from clear polycarbonate plastic, plastic picnic plates or discarded laserdiscs, we can work with you to create a unique experience for your event. 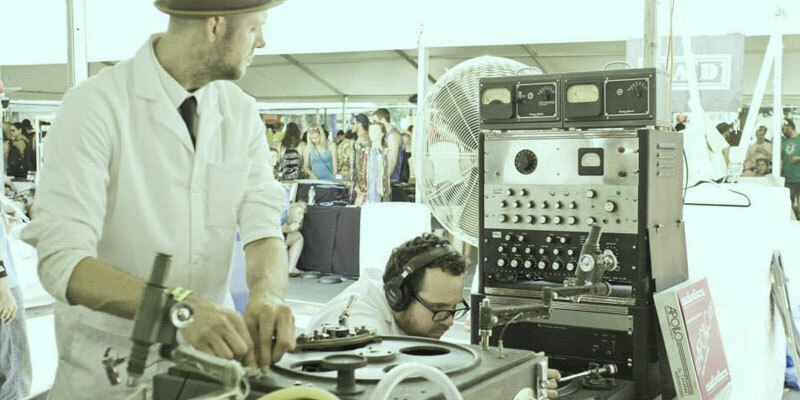 We can bring anywhere from two to twelve record lathes and engineers, record direct to disc live from a soundboard feed, live in the studio, make custom records from pre-recorded masters, acoustic recording booth, karaoke straight to vinyl, etc. 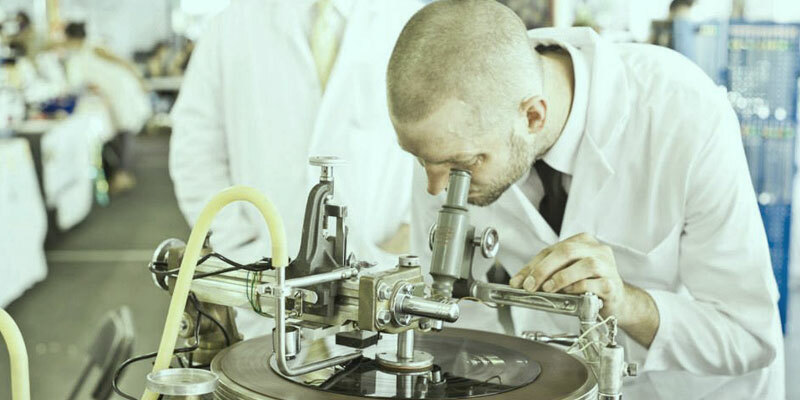 Whatever you want recorded onto a record, and whatever material you want that record made out of, we will work to make your dream come true. 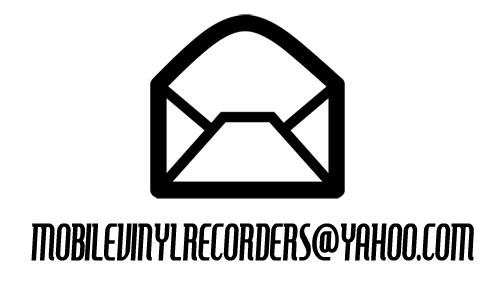 Follow us on FACEBOOK & TWITTER, then check out the available specifications on the OPTIONS page, as well as some of our past events & clients on our RESUME. 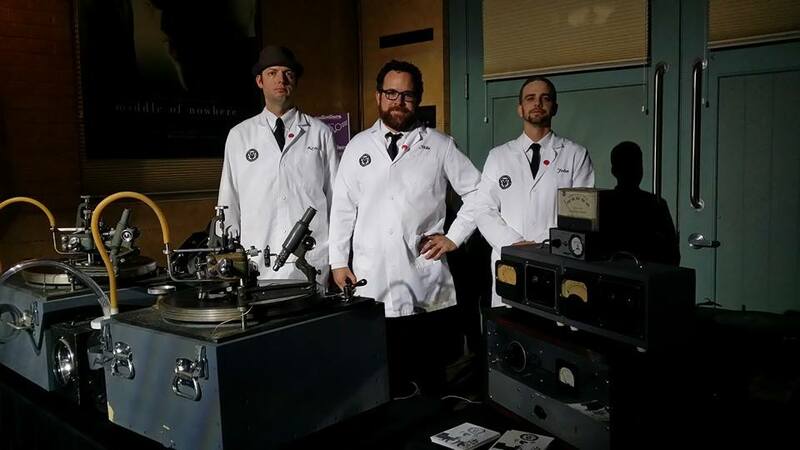 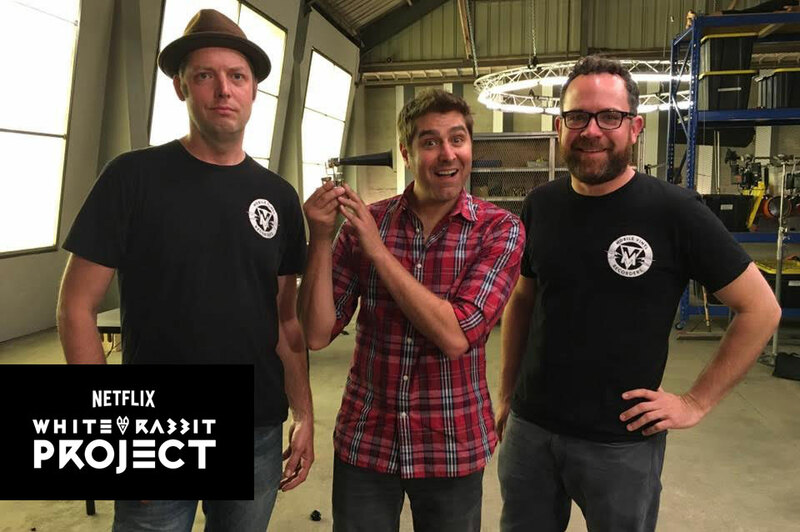 Check us out as we help the Mythbusters crew build a tiny handheld record player with 1.5" records on S1:E9 of White Rabbit Projects on Netflix!